The company said it was moving so that post-Brexit it would still be regulated by European Union rules and could continue to sell into the EU. The company has set up an Irish company and will employ staff there. However, it said no jobs would be lost in London as a result of the move. In a statement, the company said it expected its foreign exchange derivatives trading business would "not be able to continue to access the EU market after the Brexit date due to the anticipated termination of passporting rights into the EU. 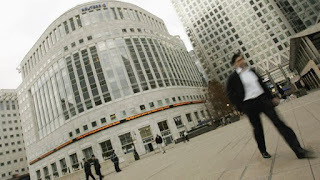 "Therefore, by establishing a new legal entity in Ireland and seeking authorisation from the Central Bank of Ireland, Thomson Reuters will be able to continue to sell and market regulated trading services into the Single Market. Passporting means a firm registered in any European Economic Area (EEA) country can operate in any other EEA country without needing further authorisation. The computer systems themselves would remain in London. The company is not the first to move its trading system out of London. Others have opted to go to Amsterdam.